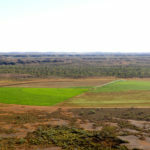 The remote Woodie Woodie research site located in the Pilbara almost 200 kilometres east of Marble Bar has again broken new ground, seeding its winter crop trial program. Oats, barley, maize, vetch, French serradella, and Persian, arrowleaf and balansa clovers were planted at the 38 hectare irrigation site – the first time barley and these particular legume species have been grown in the region. 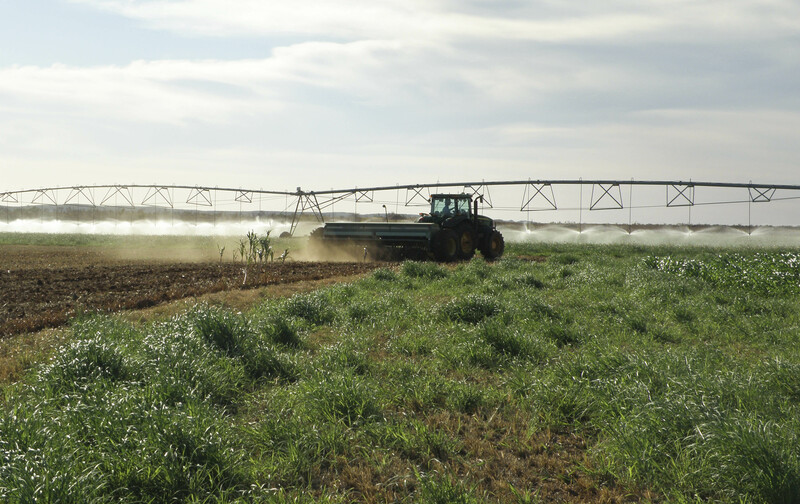 Led by the Department of Agriculture and Food, the trials are part of the Pilbara Hinterland Agricultural Development Initiative (PHADI) – a pioneering project testing the use of surplus mine dewater for irrigated agriculture in the region. 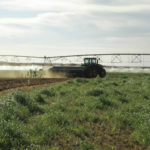 Department project manager Chris Schelfhout, who recently visited the site during winter seeding, said the project supported the department’s goal to enable businesses to expand irrigated agriculture across the north of Western Australia. 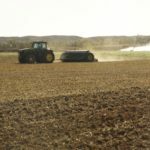 “The trial’s centre pivot irrigator has been sown to a range of temperate grasses and legumes to assess suitable crop rotations of annual species,” Mr Schelfhout said. “Clovers, serradella and vetch were selected to provide a high-protein fodder option should irrigators choose to run a stand and graze system. “The site has progressed significantly since its establishment in 2015, from undeveloped pastoral grazing land to intensified irrigated land. Mr Schelfhout said while onsite, he had the opportunity to inspect the trial lucerne crop which was sown in September 2015 and was flourishing under irrigation and cooler weather. 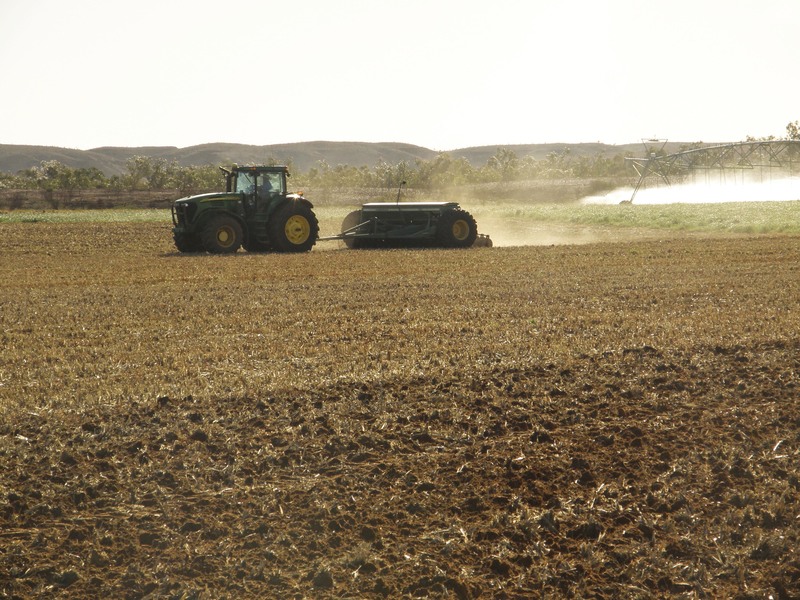 Rhodes grass had been observed ‘shutting down’ in cooler parts of the Pilbara from about May to August. To verify the period of reduced production of Rhodes grass at Woodie Woodie, perennial species remained in the ground so staff can monitor their performance over the cooler months. Mr Schelfhout said the project’s reliance on dewater from the nearby Woodie Woodie manganese mine posed a risk to the continuity of water supply at the site with the recent fall in commodity prices and subsequent changes to the mine’s operations. “This situation demonstrated the need for secure access to alternate water sources to ensure uninterrupted irrigation,” he said. PHADI is delivered by the department in partnership with the Pilbara Development Commission and the Department of Regional Development, in close collaboration with the mining industry, Aboriginal groups and the pastoral industry. The $12.5 million Initiative is funded by the State Government’s Royalties for Regions initiative. Trial operations at Woodie Woodie will conclude later this year, however the PHADI team is working with project partners to investigate options to continue irrigated agriculture at the site beyond the trial program. 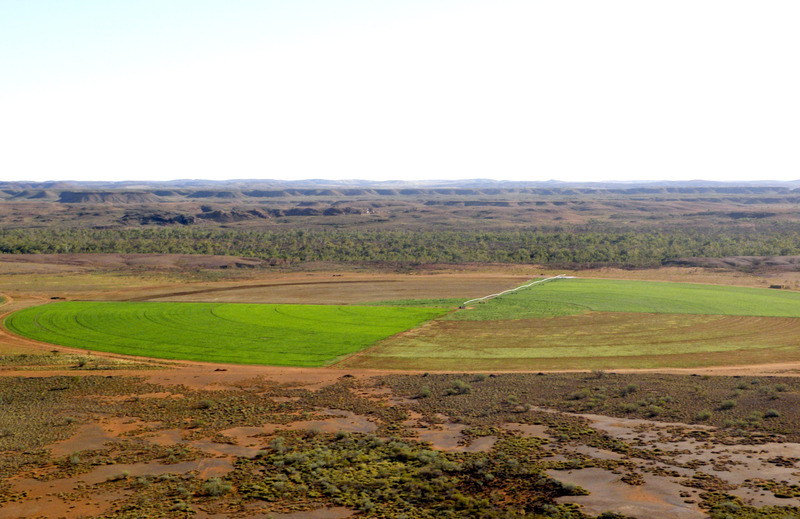 An aerial view of the Woodie Woodie irrigation trial site on Warrawagine station, located about 200 kilometres east of Marble Bar. Oats, barley, maize, vetch, French serradella, and Persian, arrowleaf and balansa clovers are some of the winter species the department is trialling at the site, using surplus mine dewater to irrigate the crops. The winter trial seeding program is in full swing as Nat Byrne of Warrawagine station seeds a mix of perennial and annual crops.